I will try to document a year of birding in the blog format. Start date is Christmas 2010. On Christmas Eve day we spent about 5 hours along the range and township roads north of Edmonton. We looked for Snowy Owls in the Egg Lake area northwest of Morinville. This is where they can be reliably seen most winters. From other birding friends in Edmonton I had heard reports of Snowies, so thought we would check it out for ourselves. 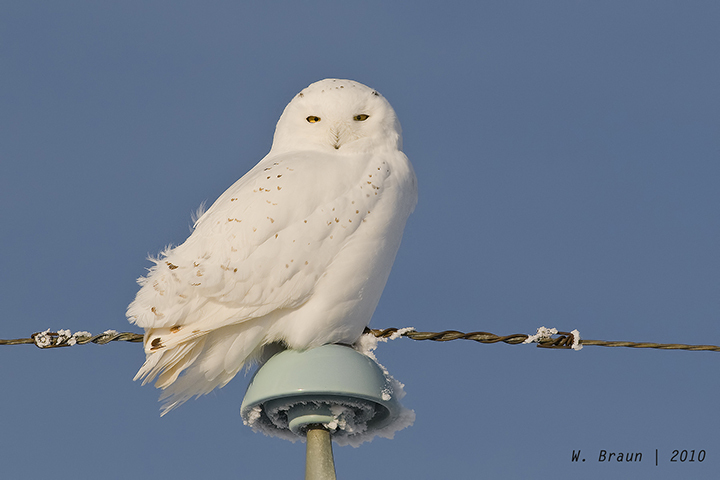 We did spot a male, perched on a pole, then later in a grain field at a distance too far for photographing. 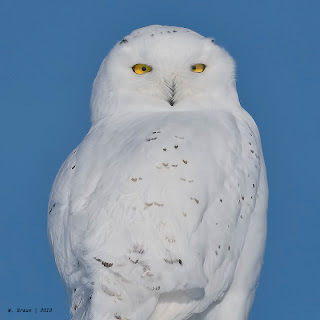 We continued further north to the Opal area and the nature reserves around Opal and to the north (between township roads 584 and 592 west of Hwy 2 and east as far as RR 225), looking for Northern Hawk Owls and Great Grays. 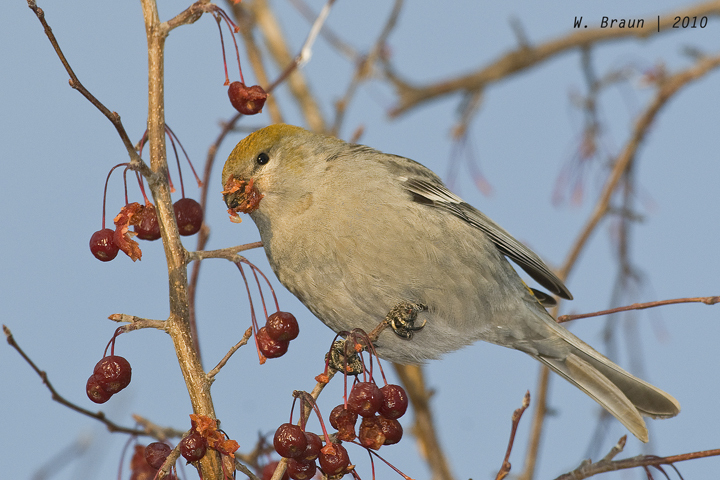 No luck on the owls, but we saw our first flocks of Common Redpolls and Snow Buntings of the winter. On the way home we stopped at Hawrelak Park hoping the Pine Grosbeaks would be around. They like to come to this park and feed on several ornamental crab apple trees. Sure enough, our timing was perfect.